Update: Savannah Has a New Home! We are so thrilled to announce that Savannah was adopted today to a wonderful woman named Sarah Jon. Sarah came out last month a few times to meet Savannah and instantly fell in love with her. They are a great fit. We dropped Savannah off this morning, and were greeted not only by Sarah Jon, who had been up early with anticipation, but also her wonderful fiance and two roommates. Everyone was very happy and excited to have Savannah there. Savannah has a huge barn to live in, with a TON of shavings and a HUGE turnout. So many people are enchanted with her, I think she’ll be around more people than she is at Hanaeleh! Sarah Jon called this evening and gave us an update on how Savannah was doing. She said that Savannah LOVES the turnout, and rolled and ran around the area there, and had fun eating the grass growing around the edge of the fence. We are so happy for Sarah Jon and for Savannah! 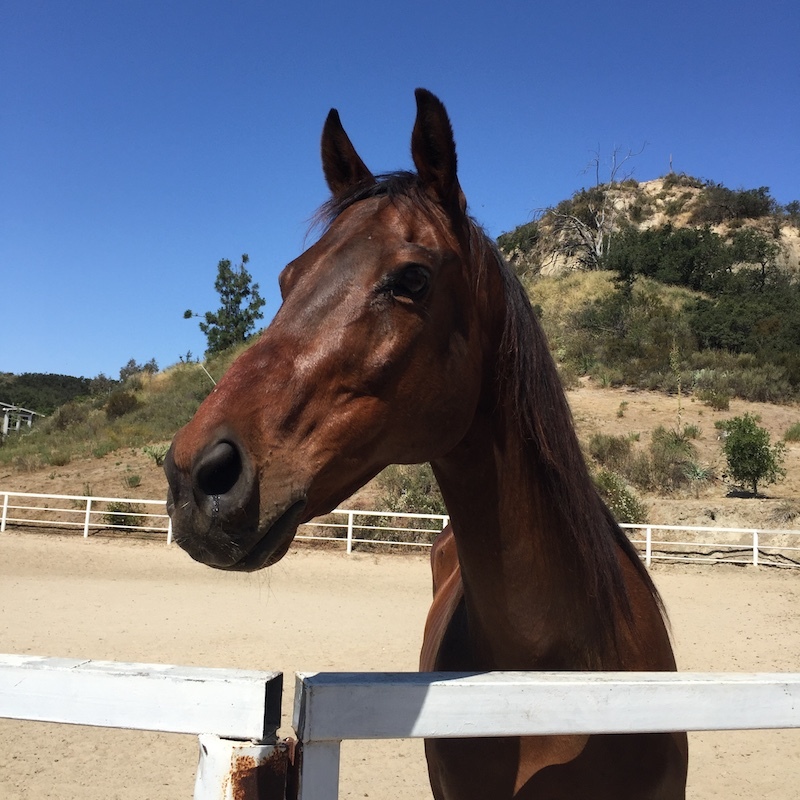 It is wonderful to be able to bring the right horse and the right person together, and we are thrilled that we were able to connect these two. Bringing Savannah to her new home.